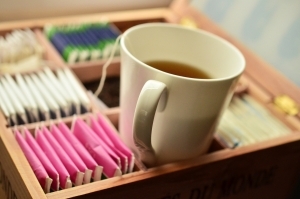 Research showing the extent to which the UK is continuing to embrace herbal teas and fruit infusions at the expense of traditional English breakfast tea reveals potential for significant category growth for those suppliers able deliver the insights on how to take advantage of our changing tastes. “This merely reflects what we see around us with brands bringing fruit, green, herbal and decaffeinated teas into their ranges, which are proving attractive to younger drinkers who perceive them as having health and wellbeing benefits,” explains John Nevens, Joint Managing Director, category management and shopper marketing specialist, Bridgethorne. But, Nevens adds, suppliers need to have an effective category strategy in place to discuss with retailers, which reflects the expectations and goals of both the supplier and the retailer. This, he says, means crunching the numbers, completing the analyses, building the reports, undertaking the range reviews and using the insights from the data to show how to grow the category for the benefit of both themselves and the retailer, and how best to channel investment.